Migrants from Latin America who were recently detained near the US border, have admitted that local newspaper advertisements lured them into attempting to reach the US, pledging job opportunities and free assistance from US authorities. “The whole word knows, they put it in the news. They tell us everywhere if you come to the United States, they’ll help you,” a Honduran woman, who spoke on condition of anonymity, told a CBS TV news affiliate. She was echoed by an unnamed Guatemalan pastor, who confirmed in an interview with CBS 4 that “we’ve been told that, we read it in our newspapers”. “That’s why we’re here”, the pastor, who was apprehended in the Rio Grande valley area, added, referring to numerous ads in Central American countries promising locals jobs and free support from the US government if they reach the border. “We’ve [also] been told if you are a father you can bring your child and you will be helped here if you’re in that situation” the pastor said, singling out the ads. This comes amid reports about a boom in the human smuggling business in Central America, where those involved in this industry are thought to be paying for the ads offering work opportunities for migrants to the US. “It’s never been easier for us to get families in. People want to leave, and we help them. And I happen to make money in the process,” a client recruiter in Guatemala named Germán was quoted by the Daily Caller news outlet as saying. 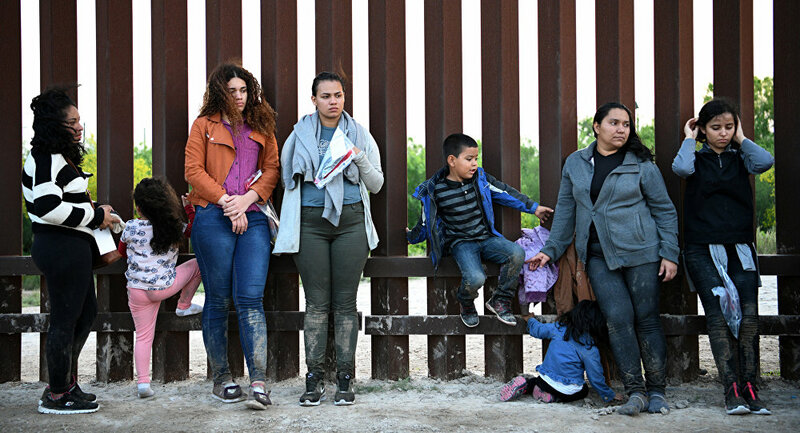 Earlier, President Donald Trump, who hopes to build a barrier on the US border with Mexico to suppress illegal migration, said that he might close the border, accusing Mexico and Honduras, among other countries, of failing to prevent migration flows into the United States. In March, Trump declared a national emergency in the country to free up to $8 billion in federal funding to build a wall on the US southern border. He claimed that the wall is needed to prevent criminals and drugs from pouring into the US. The situation on the country’s southern border escalated last fall, when a caravan which included thousands of people from Central American countries, reached the US. The border guards, however, managed to repel migrants trying to cross the border.